Built in 1901-'02 by A. Rodger & C0., Port Glasgow, #361, as ARROW for Anglo-American Oil Co., London, launched : April 1902. ARROW entered service with the Anglo-American Oil Co Ltd, London, employed in the kerosene trade. 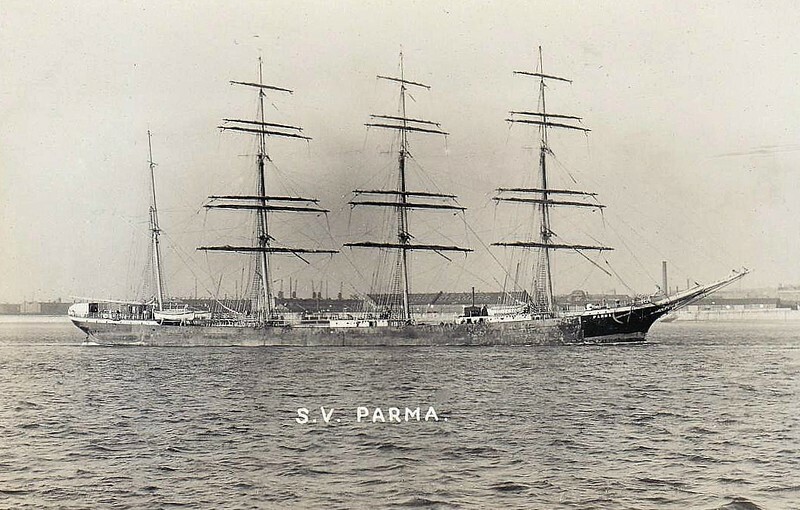 In 1912, she was sold to F. Laeisz, Hamburg for £15,000 and was renamed PARMA. She was employed in the nitrate trade between Germany and Chile. At the outbreak of the First World War, PARMA was interned at Iquique, Chile. In 1920, she was assigned to the United Kingdom as war reparations. In 1921, she was transferred to the Belgian Government, and placed under the management of Association Maritime Belge, Antwerp. On 8 November 1921, PARMA was sold back to F. Laeisz for £10,000. She was again employed in the nitrate trade. In 1926, PARMA sailed from Hamburg to Talcahuano, Chile in 86 days and in 1928 she sailed from Land's End to Talcahuano in 70 days. In 1931, PARMA was sold to Ruben De Cloux and Alan Villiers of Mariehamn, Finland for RM34,000. She was the largest sailing ship under the Finnish flag at the time, holding that position until 1935 when Gustaf Erikson bought MOSHULU. She was employed in the wheat trade between Germany and Australia. 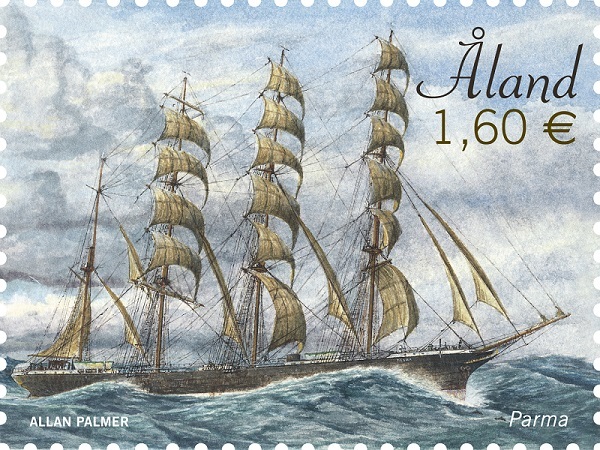 In 1933, she sailed from Port Victoria to Falmouth in 83 days. This was the fastest ever achieved by a sailing ship. On 1 July 1936, PARMA collided with an observation tower at Princes Dock, Glasgow when a gust of wind caught her as she was docking. As a result of the collision, plates in her hull were sprung open by falling coping stones from the quayside. PARMA was sold to Rederei A/B Parma U V Wennstrom, Mariehamn. She was stripped of her masts and rigging, and converted to a hulk. In 1936, PARMA was sold to Barnett Bros, London. PARMA served as a hulk at Haifa, Palestine (now Israel), until 1938 when she was scrapped. 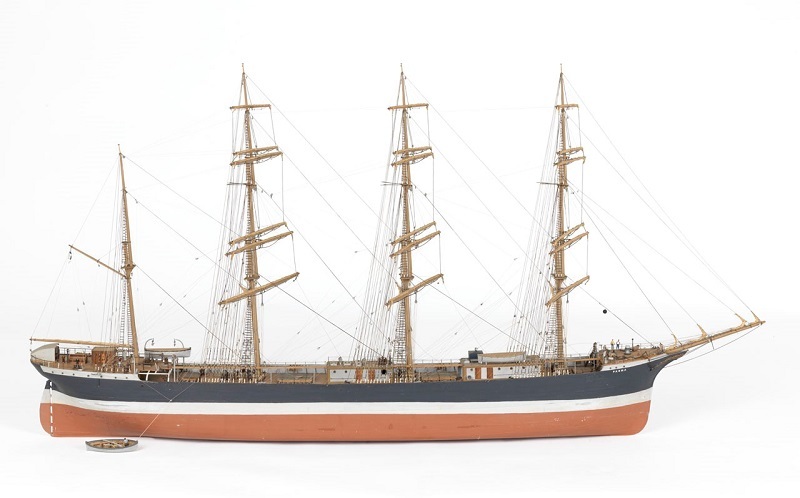 A model of PARMA can be seen at the Ålands Sjöfartsmuseum, Mariehamn.